Easter Bunny out to lunch? 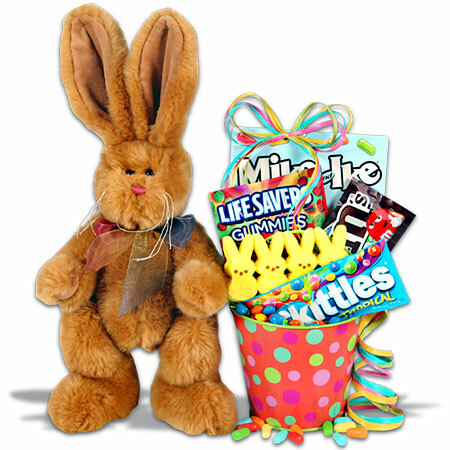 Still need to find the ultimate Easter Basket? You're in luck! 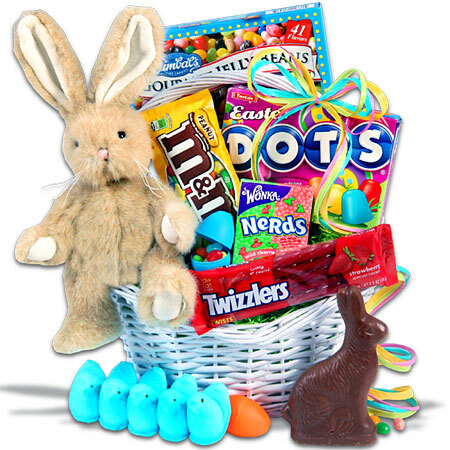 There's still time to order a fantastic basket from Gourmet Gift Baskets and receive in time to keep your bunny out of the dog house! You can order today from Gourmet Gift Basket, pay standard shipping and select your delivery day, in time to make their eyes sparkle on Easter Morning! 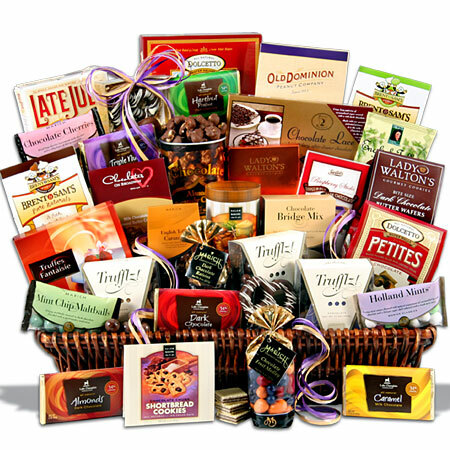 Gourmet Gift Baskets offers a phenomenal assortment of baskets for any occasion, to satisfy your special person's palette and preferences! Their easy to search site allows you to search for suggestions based upon special occasion, holiday and specialty themes! Select from Gourmet Baskets, Organic, Fruit and Healthy Gifts and even a Flower & Plant category! Those who are running a bit behind schedule will appreciate the Same Day Gift Selections, truly a service all of us need from time to time! The junior reviewer here at That's What She Said was recently given an opportunity to select a gift package to review from the Care Packages line ~ fantastic options for a variety of situations: spring break, good grades, the long awaited "school's out for summer", a treat at camp or college or even a "taste of home" for someone in the military. · Balloon Launcher - Hours of fun for your kid and their newest best friend. 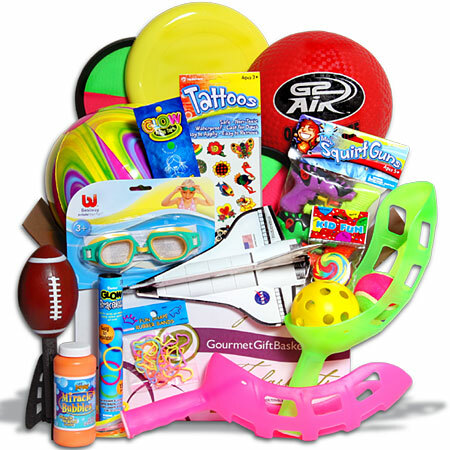 · Plastic Frisbee –So versatile, this Frisbee is a must for any camp care package. · Mini Squirt Guns - 4 pack – You may be causing havoc for the camp counselor, but your child will love these! · Pet Shaped Rubber Band Bracelets - 12 pack – You wouldn’t dare send a care package that doesn’t include these, they are the current phenomenon! · Splash and Swim Goggles - 2 pack – Don’t be a fool, make sure they have goggles for the pool! · Glider Airplanes - 19" – Let their imagination take flight with these awesome glider planes! · Temporary Tattoos – Send these to avoid them coming back with a real one! · Bubbles with Wand - 8 oz. – Need we say more? Such a timeless classic, fun for all ages! · Rainbow Yo-Yo - 2" – So simple, yet so much fun. One is never too old for a yo-yo. · G2Air Rubber Playground Ball – Foursquare, kickball, dodge ball, this ball covers it all! · Tie Dye Beach Ball - 16" - This dynamic, colorful ball is great for a variety of games! · Large Football with Tail – Keep that arm in shape for fall football season! · Wind Raiders Air Missiles – This one just beams with fun, all they’ll need is a partner! · Glow In the Dark Bracelets - 15 per tube – Light up the night with these fun summer camp care package accessories! · Glow Bars - 2 per package – These unique glow bars can be used for a variety of fun activities after the sun goes down! · Wind Raiders Foam Sling Shooter – A great game to play with friends and get plenty of exercise. As you can imagine, there were wide eyes and a huge smile as he explored the contents of the care package! 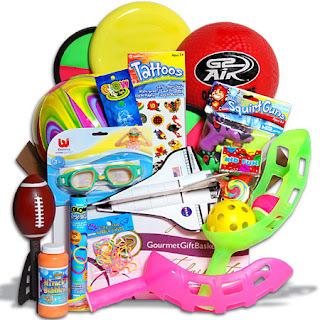 It is his "professional" opinion that this package contains the "perfect collection" of items for fun at camp or for breaks from fishing and swimming while camping. While he couldn't help but to test some of the items, he is saving the care package for an upcoming camping trip with Dad this summer, carefully hidden from his older sister, of course! Gourmet Gift Baskets is generously offering my readers a chance to win a Deluxe Summer Fun Camp Care Package ($59.00) for their own summer fun! This giveaway is open to residents of US & Canada, ages 18+ and will conclude on Saturday, May 14, 2011 at midnight, EST. To be eligible to enter this giveaway, you must be a follower of That's What She Said via Google Friend Connect (mid right sidebar). The winner will be randomly selected from all eligible entries and notified by email. Winner will have 48 hours to respond before I must move on to a runner up. Please leave your email address in your comments in anti-spam format, if it is not available via your comment name, so I may contact you if you are the winner! You must follow That's What She Said via Google Friend Connect (mid right sidebar) to be eligible to enter this contest. For mandatory entry, visit Gourmet Gift Baskets on Facebook and "like" them. Leave a comment here, telling me you did so and including your facebook name. IF YOU ARE ALREADY DOING ANY OF THESE ACTIVITIES - TAKE THE ENTRIES! * Tell Gourmet Gift Baskets something you love about their site or offerings on their facebook wall and share the same with me here in a comment, along with your facebook name. (Completely optional entry!) 3 entries. * Friend That's What She Said (Terri Satterlee) on Facebook, leave comment here with facebook name, 3 entries. * Enter any of my other active giveaways, leave comment letting me know which, 10 entries per additional giveaway. * Follow Gourmet Gift Baskets on Twitter and leave comment here with with your Twitter name, 2 entries. * Follow That's What She Said (tsue1136) on Twitter and leave a comment here with your Twitter name, 2 entries. * Tweet about this contest. Limit 3 per day. 1 entry per tweet. * Follow the Gourmet Gift Basket Blog, leave applicable name in your comment, 2 entries. * Follow That's What She Said via email or RSS feed, leave applicable name in comment, 2 entries per method. * Share this giveaway in some other fashion, anything goes! Stumble, Digg, blog, post on your facebook, add to a giveaway linky... handy share button at bottom of the post. Leave a comment with a link to your sharing. 5 entries per sharing. No limit! * Tell me in a comment which is your "dream basket" from Gourmet Gift Baskets, 2 entries. * Leave a comment on any non - giveaway post, see list in lower right sidebar and leave a comment letting me know which, 2 entries per post. ON BEHALF OF GOURMET GIFT BASKETS AND THAT'S WHAT SHE SAID, THANK YOU TO ALL ENTRANTS FOR FOLLOWING AND PARTICIPATING! CONGRATULATIONS: 3 Lilacs, comment #256, courtesy of Random.org! I was provided with a gift basket from Gourmet Gift Baskets for the purposes of exploring to create this review. The opinions above are both honest and my own. Images and information taken from various Gourmet Gift Basket sites. Images of rabbit. I am a fan of Gourmet Gift Baskets on Facebook. I posted on Gourmet Gift Basket's Facebook wall that I love their products. I am following Gourmet Gift Baskets on Twitter. I am following the Gourmet Gift Baskets blog using dod@rogers.com. 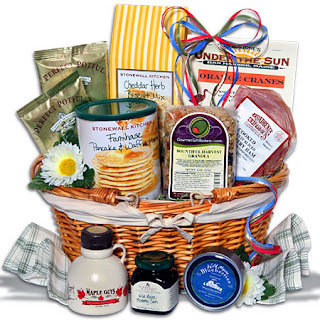 My favourite Gourmet Gift Basket is the Bella Italiana Italian Gift Basket. I entered the Etienne Perret Giveaway. I entered the Express Yourself With Sparkle giveaway. I follow you via Google Friend Connect. I like Gourmet Gift Baskets on Facebook. I left a comment on their wall about their Baby Baskets and how I would love giving them as gifts. I subscribe to Gourmet Gift Baskets blog feed. I love the premium Popcorn/Movie lovers basket!